How did I miss the GrapheR package? The author, Maxime Hervé, published an article about the package  in the same issue of the R Journal as we did on googleVis. Yet, it took me a package update notification on CRANbeeries to look into GrapheR in more detail - 3 years later! And what a wonderful gem GrapheR is. 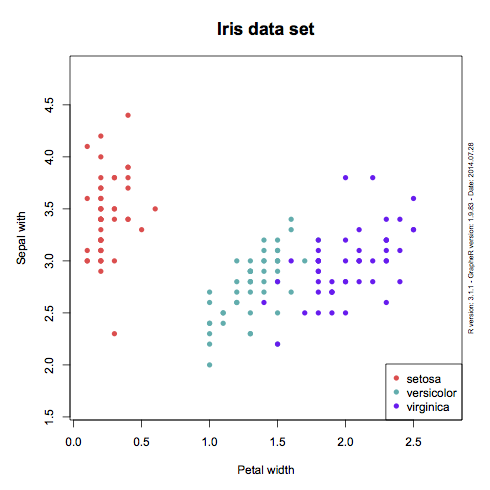 The package provides a graphical user interface for creating base charts in R. It is ideal for beginners in R, as the user interface is very clear and the code is written along side into a text file, allowing users to recreate the charts directly in the console. Adding and changing legends? Messing around with the plotting window settings? 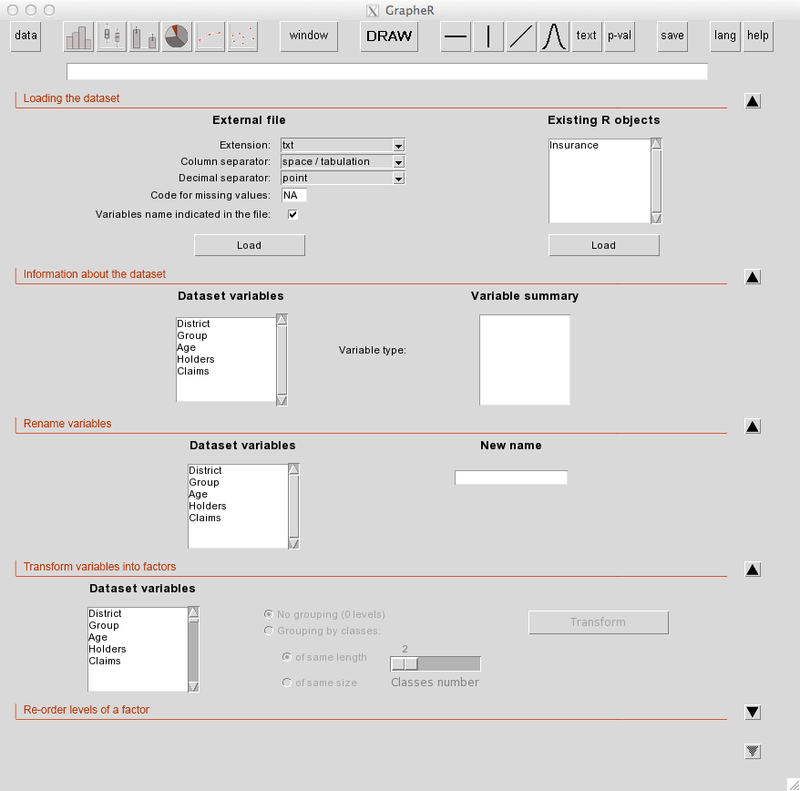 It is much easier/quicker with this GUI than reading the help file and trying to understand the various parameters. Here is a little example using the iris data set. Hervé M (2011) GrapheR: a multiplatform GUI for drawing customizable graphs in R. The R Journal 3(2): 45-53. ← Thanks to R Markdown: Perhaps Word is an option after all?